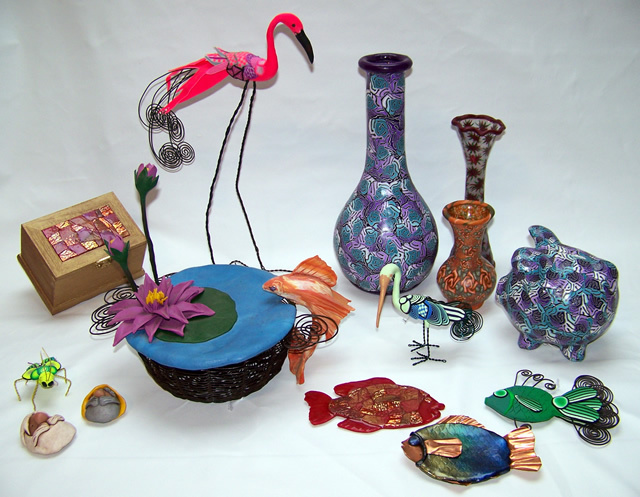 The Maine Lights Collection includes many unique items from oil paintings, to adorable clay sculptured faces on mussel shells (Mussel Men), to unusual clay and wire sculptures. We especially enjoy experimenting with new techniques and new subject matter. The artists also do custom work if provided with good photographs of the subject. Come spend a little time with us discovering the many facets of Maine, the rocky coast and Maine's nautical history.